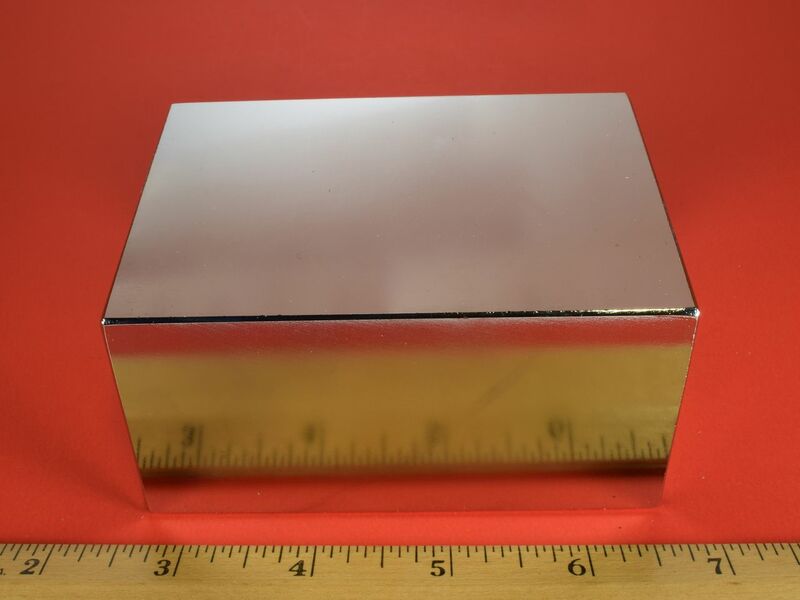 These large blocks are some of the largest, most powerful rare-earth magnets available. They are freakishly strong and must be handled with great caution. They can pinch extremely hard or even crush if you get between two of them or one and a piece of metal. They are heavy, sturdy, and unbelievably strong. Once this massive block is attached to a metal surface it will be pretty much impossible to remove it. 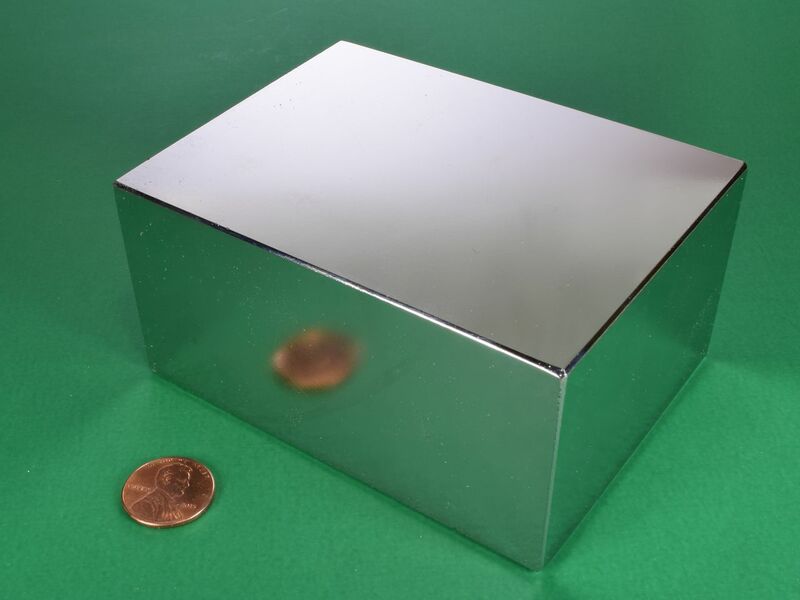 We recommend handling this giant magnet with the help of at least one other person. This magnet is not a toy!